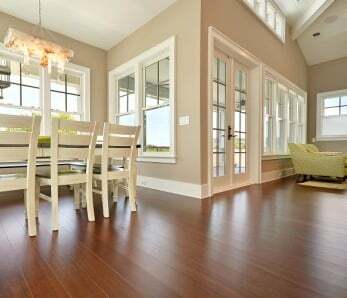 Home › Flooring › Does Bamboo Flooring Contain Formaldehyde or Other Harmful Chemicals? Does Bamboo Flooring Contain Formaldehyde or Other Harmful Chemicals? is not a new or unknown product – it’s been around for more than 20 years now. It’s been specified by major architects and designers around the globe on very important residential as well as commercial projects, and there is a long and established track record that is a testament to the safety and durability of this incredible product. 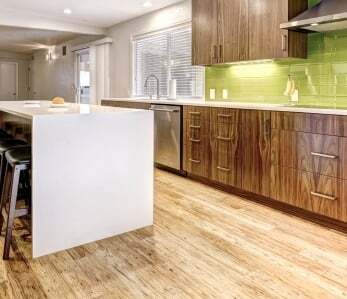 However, search for the terms “bamboo flooring” and “formaldehyde” and you’ll likely find all sorts of misleading (and patently untrue) information being spread around the web. Here we set the record straight by providing concrete facts and figures to make sure the truth is known. Formaldehyde occurs naturally in the environment. It is produced in small amounts by most living organisms as part of normal metabolic processes. Formaldehyde is a colorless, flammable, strong-smelling chemical that is used in building materials and to produce many household products. It is used in pressed-wood products, such as particleboard, plywood, and fiberboard; glues and adhesives; permanent-press fabrics; paper product coatings; and certain insulation materials. In addition, formaldehyde is commonly used as an industrial fungicide, germicide, and disinfectant, and as a preservative in mortuaries and medical laboratories. Emissions from gas stoves and kerosene space heaters. 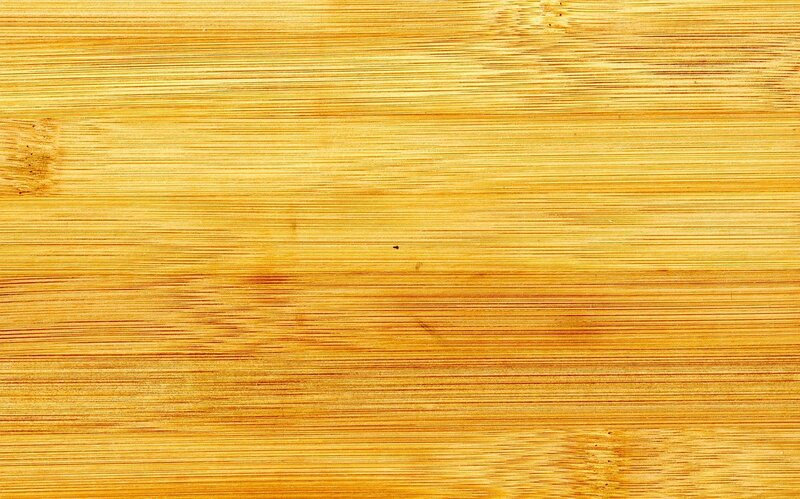 How Much Formaldehyde Is In Bamboo Flooring? Despite formaldehyde being classed as a V.O.C (Volatile Organic Compound), it is only dangerous when found in high levels. Most high quality bamboo flooring brands contain little or no formaldehyde in their floors. These floors meet the most strict indoor off gassing standard in the world, called CARB Phase II, requires a formaldehyde levels no higher than .05ppm. 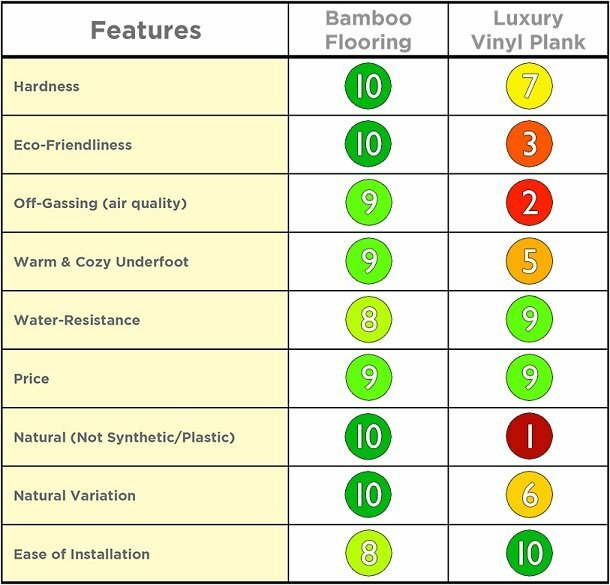 High quality bamboo floors contain as little as .02ppm within their products, which is far below that limit. voluntarily provide indpendent test results on their websites as a sign of good faith. Most strand woven bamboo uses only phenolic formaldehyde, which doesn’t have the bad reputation of urea formaldehyde. Urea formaldehyde is used in most engineered and hardwood bamboo flooring, but only in trace amounts. 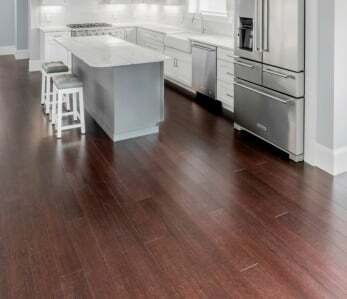 There are many types of floors on the market, but hardwood and bamboo flooring are at the top of the list when it comes to safety and indoor air quality. As an example, check out our graphic below from our article. Who Defines What Levels of Formaldehyde are ‘Safe’? Formaldehyde in bamboo flooring depends on where in the world the products are produced and sold. The most rigorous indoor air standard in the world is CARB Phase II (set by California). Both CARB and European standards recommend that formaldehyde content in products should be 0.1ppm or below. Also, you’ll want to stick with products that have Floorscore certification, which also guarantees indoor air quality. While formaldehyde can indeed be harmful when emitted in large quantities, in everyday life formaldehyde is used in everything from the dining room table to kitchen cabinets (even humans themselves produce formaldehyde in small quantities). Formaldehyde is used in many industries, offering several helpful qualities. For example, it can be used as a disinfectant, to produce polymers and create other chemicals. 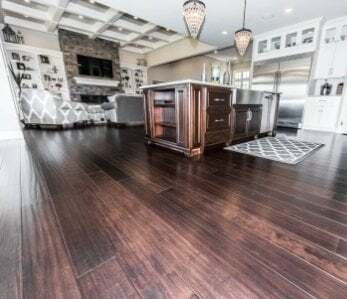 Unfortunately there are some interests out there that are threatened by the triple threat that bamboo floors provide – affordability, durability and eco-friendliness, and many of these folks have gone out of their way to that bamboo floors are full of dangerous chemicals. Given the facts it’s surprising (and sad) that such misinformation and fear-mongering still thrives. Which Brands Contain Zero or Effectively Zero Formaldehyde? Most brands that annually test their products, meet the CARB Phase 2 standard, and have achieved Floorscore certification are usually safe ( is a great example). Ensure that the bamboo floor brand you’re considering uses an independent third party U.S. laboratory to carry out annual tests. This also extends to the materials that you use when installing your flooring; for example, the glue and adhesives you use should be considered. ‹ How to Install Bamboo Baseboard and Shoe Molding. Our recently acquired canonized engineeref bamboo flooring has a strong odor. How can I accelerate the out gasing? Hi Gail! Have you contacted the manufacturer of your flooring yet with regards to the odor? 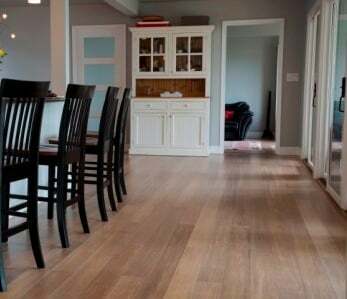 If you purchased pre-finished flooring when you first unwrap and are acclimating the wood (this applies not only to bamboo but to any flooring product with a finish on top), but usually the smells dissipate after a few days, and you can help speed up the process by turning on a few fans and opening windows and doors to allow fresh air to circulate. Without knowing what brand you purchased it’s hard to tell if you should be concerned or not, but most likely it’s just the coating that needs to breathe a bit and you’ll notice it should disappear within a week. Hope this helps and enjoy your new floors! HI, I purchased a bamboo shelf, it doesn’t have much smell. Is all bamboo wood the same such as flooring or bamboo furniture? Just to be sure I let it gas out outside for the whole day. Hello, Mar! All bamboo wood is not the same as flooring or bamboo furniture, because different finishes and coatings are used across a variety of products. We recommend letting your room air out for a few days, and if the odor persists, then contact the manufacturer of your shelf for advice on what to do. Have a great day!